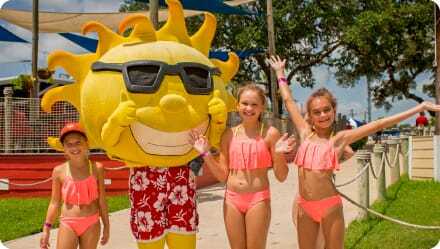 The most family friendly waterpark & campground in the state of Texas. Now, that’s a bold statement to make, but we have what it takes to back it up. 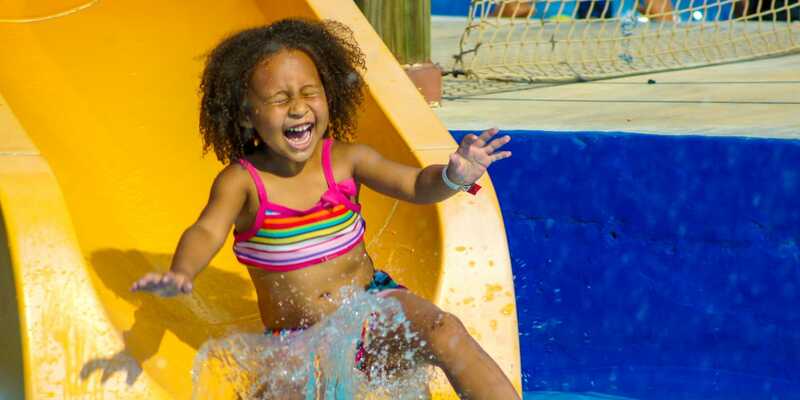 Splashway Waterpark and Campground has been family owned and operated from the moment we first opened our doors. 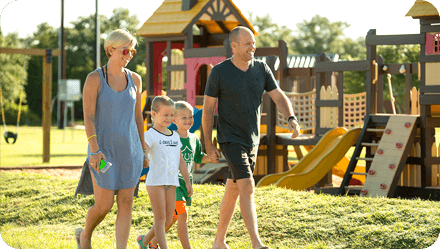 Our focus from the beginning was to give families a fun place to go to be together to bond, make new friends and new memories. 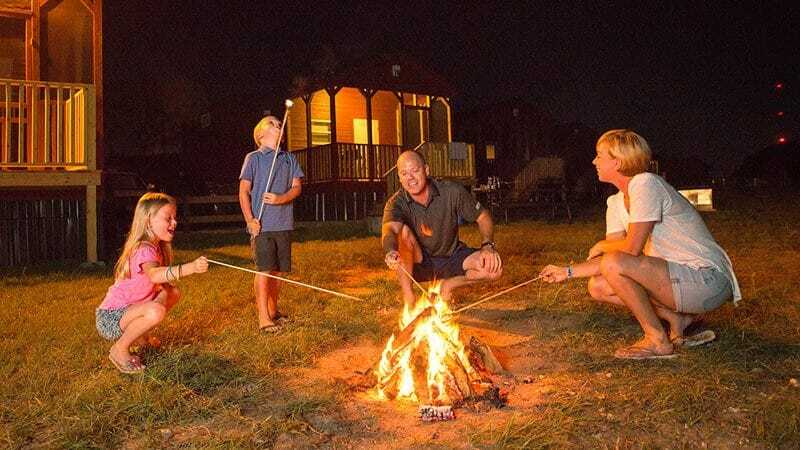 Our campground offers fishing, kayaking, hiking, a dog park, cabins and cottages for rent, RV sites, tent sites, an on-site camp store, and so much more! 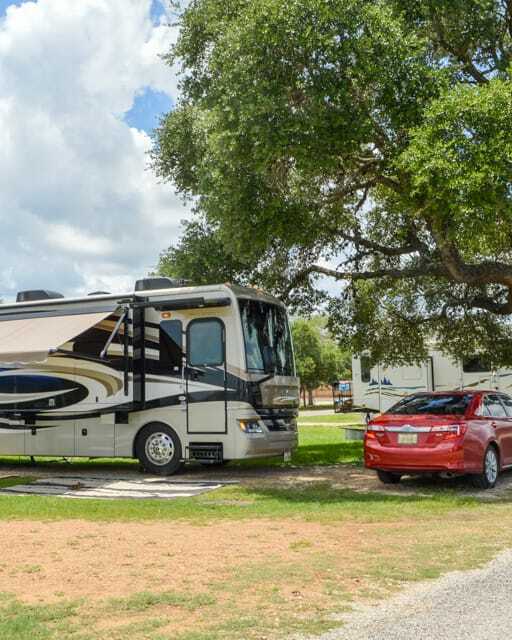 Whether you’re a lifelong camper or trying it out for the first time – you’ll be sure to find something to suit your comfort level! 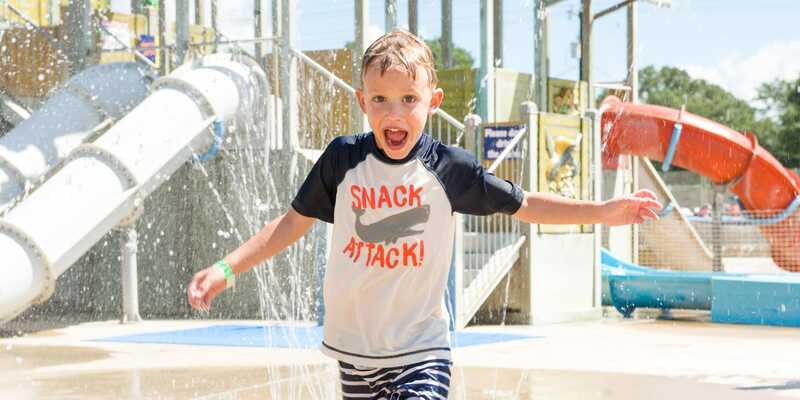 At our waterpark you’ll find heart-pounding thrill slides, a lazy river, 2 wave pools, private cabana rentals, toddler-only splash zones, 2 cafes, tableside service, Dippin’ Dots (everyone’s favorite! ), the list goes on! 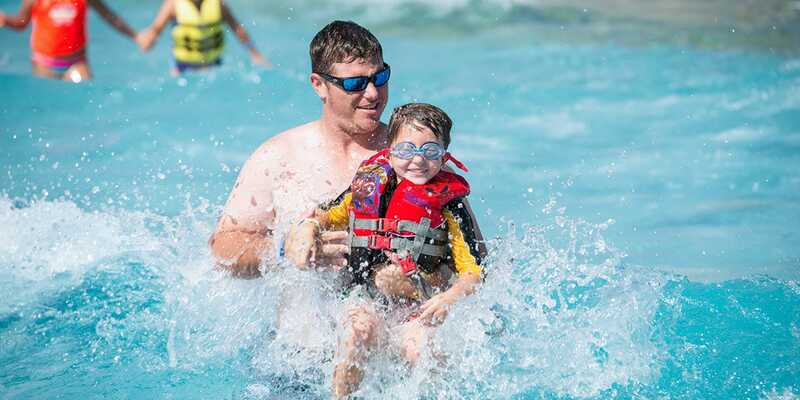 Lifejackets, tubes, and parking are always free and personal coolers are welcome inside the park! 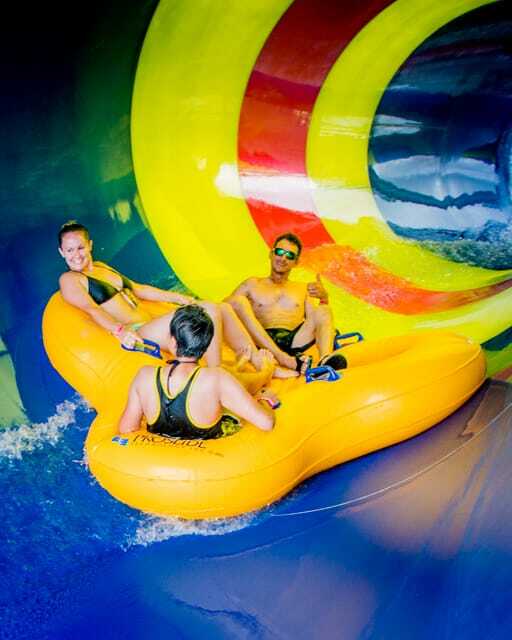 Can’t decide whether you want to camp or swim? Do both! 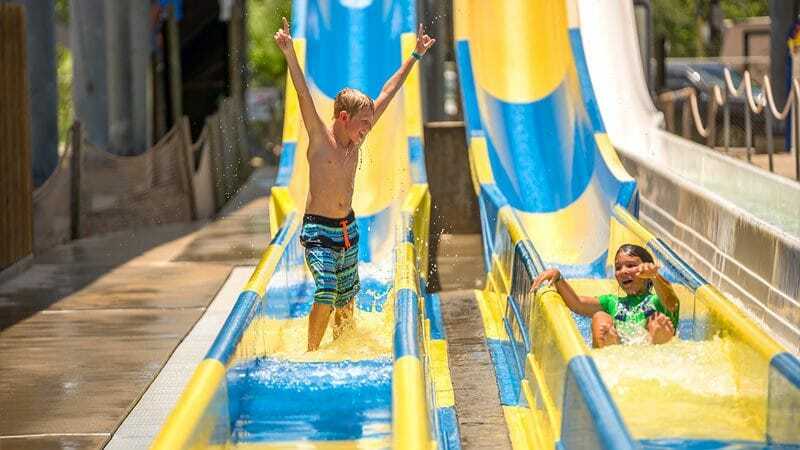 Our waterpark and campground are conveniently located next door to each other so, you can take advantage of cooler mornings to go for a hike and beat that incredible Texas heat with a splash in our wave pool in the afternoon! 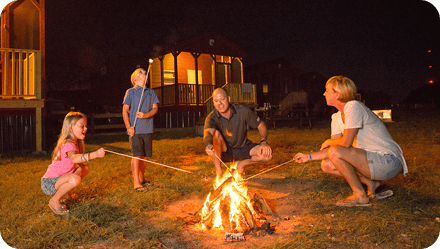 As a family ourselves, we strive to offer you the cleanest, friendliest, and safest vacation experience possible so that you can focus on making memories to last a lifetime. 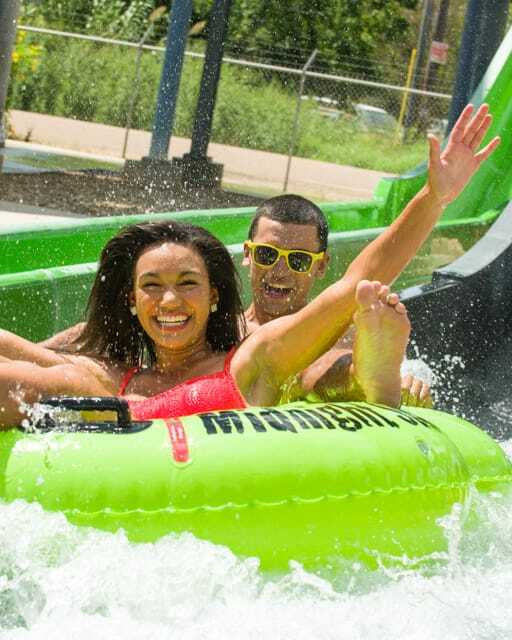 So, join us for a day, a weekend, a week – you name it. 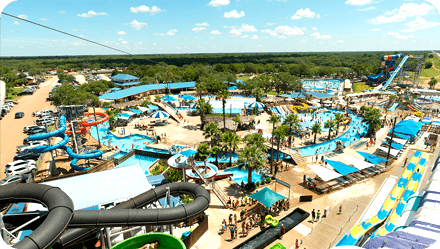 We’d love a shot at becoming your favorite waterpark and campground in Texas! 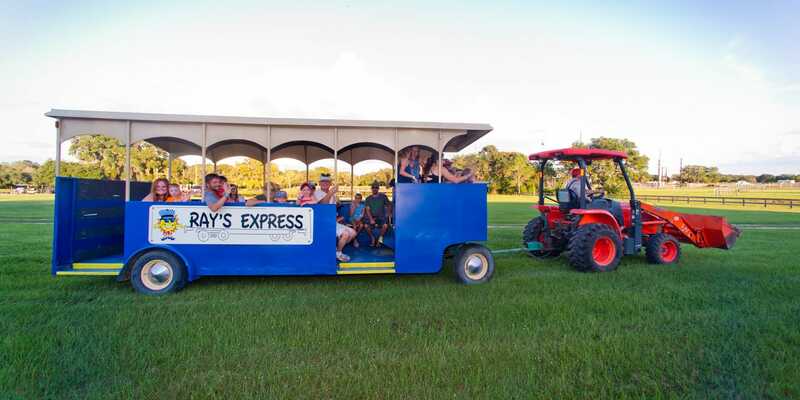 For more information, photos, and reviews, check us out on Facebook, Instagram, or Google! 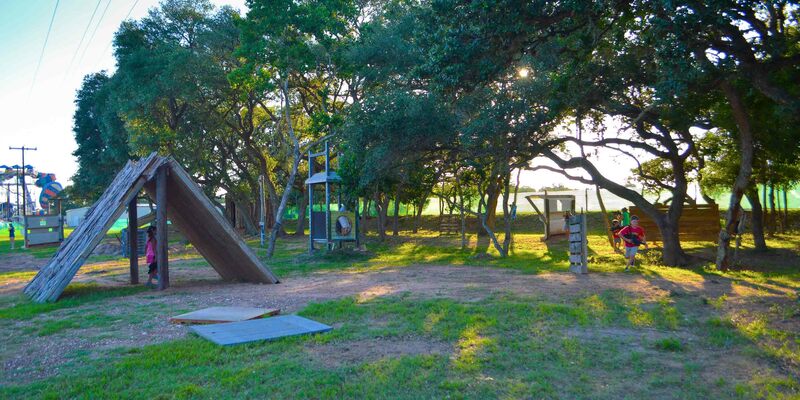 Located on US 90-A, 20 minutes south of I-10. We are between San Antonio and Houston, and just over an hour and a half south of Austin.